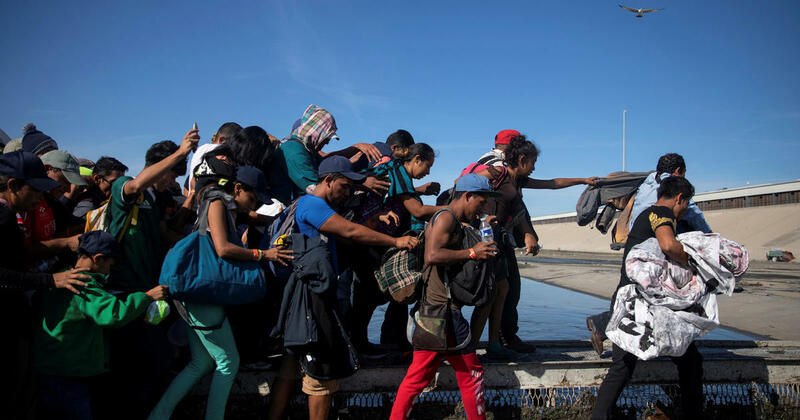 TIJUANA, Mexico — In a matter of minutes, the trickling stream inside the banks of the Tijuana River turned into an overflow of migrants rushing towards the border. The crowds were met by a force of Mexican police, who were armed and wearing riot gear. Tear gas and rubber bullets were fired by U.S. Border Patrol agents on Sunday after they said a group threw projectiles at them. Sixty-nine migrants were arrested. The crowds are gone Monday but security is still a top priority. Agents said migrants try to cut through constantan wire with tools and jump over it with carpet. As he left for Mississippi, President Trump refused to waiver on his immigration policies. “Here’s the bottom line: Nobody is coming into our country unless they come here legally,” he said. Flanked in full riot gear and armed, Mexican federal police on Sunday used force to keep migrants away from the border. On Monday, they stand ready to push back again, just outside a shelter where nearly 6,000 migrants sit and wait. Nearly 2,000 have signed up to voluntarily return home in the past month. Karina Gutierrez, a mother of three from Honduras, arrived at the shelter two weeks ago. She knows her chances of getting into the U.S. are dwindling, but said, “I won’t return to my country. I can’t,” she said. Estella, a woman from Honduras, said she was shocked to see the response at the border. She said they were surprised by the tear gas and explosions. The conditions inside one Tijuana shelter are quickly deteriorating. There are some families in tents, but others are just on the ground, penned up with a wire fence. 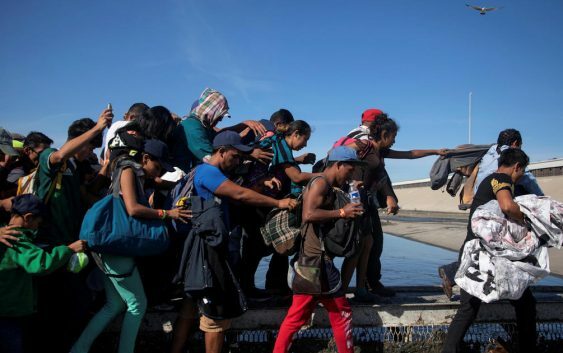 A Tijuana official said Monday that things will get worse if the migrants don’t get help from the federal government.